November 26, 2018- Tyler, TX- Better Business Bureau (BBB) has received 81 complaints nationwide on Smallwood Homes, an online retailer of home decor, custom bedding, nursery furniture, and clothing. The company is headquartered in Longview, TX, and owned by Mr. Joshua Smallwood, according to the Texas State Comptroller’s office. Consumers report receiving damaged goods, partial orders and incorrect orders. Some claimed they did not receive products or refunds at all. BBB advises consumers to exercise extreme caution when ordering products from Smallwood Home. BBB has received complaints from Alabama, California, Colorado, Florida, Georgia, Iowa, Illinois, Indiana, Kentucky, Louisiana, Massachusetts, Maryland, Maine, Michigan, Minnesota, Mississippi, Nebraska, New Jersey, New York, North Carolina, Ohio, Oklahoma, Oregon, Pennsylvania, Tennessee, Texas, Utah and Virginia. The business has an ‘F’ rating, the lowest rating on BBB’s scale. Know the advertiser. 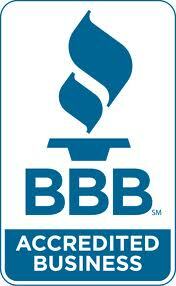 Check out the retailer’s Business Profile and customer reviews at bbb.org before shopping. Make sure you are buying from a company who has a good track record. Check a site’s security settings. If it is secure, its URL (web address) should start with https:// and include a lock icon on the purchase or shopping cart page. Shop Savvy. When shopping online, take your time and read the fine print before submitting your order. Look for a return policy; although many online orders you can return for a full refund, some may have restocking fees. Know before you buy. Shop with a credit card or use PayPal. In case of a fraudulent transaction, a credit card or PayPal provide additional protections and allows you to dispute any unauthorized charges. Debit cards, prepaid cards or gift cards don’t have the same protections as a credit card. Keep a clean computer. Being on unfamiliar sites can lead to malware or viruses downloaded on to your computer. Make sure you have the most up to date firewall, anti-virus, and anti-spyware software. Check for and install the latest updates and run virus scans regularly on your computer, tablet, and smartphone. BBB serving Central East Texas fosters a trustworthy marketplace by maintaining standards for truthful advertising and by investigating and exposing fraud against consumers and businesses. Please go to bbb.org or call 903-581-5704 24 hours a day for information on companies throughout North America. To report a fraud or scam, go to BBB Scam Tracker. Next Who Do You Think Wins This Weekend?